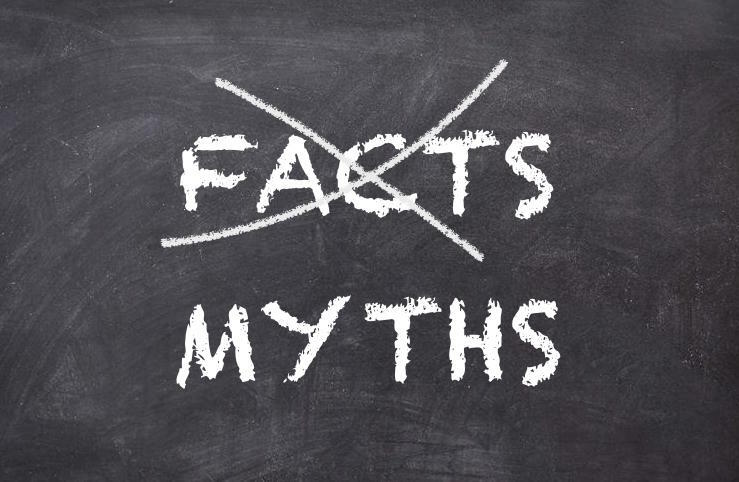 Recently, industry leader and mentor, Jim Obermayer of the Sales Lead Management Association asked for thoughts about marketing myths. So my staff and I put our collective heads together and came up with our Top 16 Marketing Myths (or shall we say self-deceptions!). The SLMA, in turn, offered its opinion on reasons behind each myth. In some cases, we countered or elaborated. Here are the next six myths from our list; the rest will be posted in the final blog. 6. My in-house team documents every phone call. SLMA: What planet are you living on? Your rule is probably to document every call, but it doesn’t happen in the real world. DMP: Ah, but sales 2.0 multi touch contact centers use sophisticated call ware which automatically documents each and every call, and all the surrounding intelligence. And DO NOT forget that there are compliance laws that require documentation if you are calling prospects to discuss needs and a potential sale. 7. Managing a sales lead development team is the same as managing a sales team. SLMA: Sales lead development is a TOTALLY different animal. Sales lead development needs constant attention because the rejection is so high. Lead development team members need to be happy with talking to 1 in 20. DMP: The pre-sales prospect development team is also tasked with and focused on building the list to identify the correct targets. This group is rewarded for tenacity, volume, data accuracy and making the many call attempts and email touch sequences required to catch prospects at the right time and qualifying until they are in “sales ready” condition. They do not sell – they listen and find the opportunities. Managing and evaluating these two groups requires different mindsets and criteria. 8. Outsourcing doesn’t work; we always get better results in-house. SLMA: Outsourcing works because an agency’s activities are scrutinized. Every hour is documented, and expectations are much higher than with inside reps.
DMP: The SLMA’s assessment is accurate. In house, pre-sales inside teams are often tasked with many details and often have rudimentary tools compared to the outsourced firms. The fact is, a professionally run B2B multi-channel contact center has pre-sales experts, tools and processes which can deliver the lead pipeline results faster and at lower cost than most in-house staff. 9. Integrated marketing? We only need to execute one marketing initiative at a time to build our business. SLMA: This ill-advised thought flies in the face of integrated marketing plans that insist that messages be ‘integrated’ and harmonious across all campaigns and initiatives. DMP: The reality is that people research and problem-solve in different ways and the smart marketer has to present in various media and multiple channels of communication: digital, social, email, and phone for the human touch. 10. Customer intelligence: We already know everything about our clients’ needs and thoughts. SLMA: Again the arrogance is astonishing here. This usually comes from the company president or the engineering department, neither of which have much customer contact. 11. Buyer’s journey: Sales doesn’t have to get involved until late in the game, and certainly not in early scoring. SLMA: By all means – – have new prospects talk to the least trained people in your sales organization hoping (not a strategy) to hand them off eventually to the most trained.